Come for the lighting & grip, stay for the resources. Do you need a logo for a credit reel? Want to download some quick information? You’ve come to the right place. 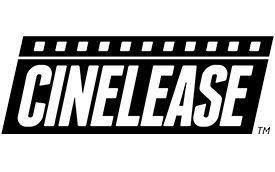 Cinelease Downloads offers you multiple logo and cut sheet styles and types to choose from. All it takes is a right click and “save as” and you will be on your way to lighting everywhere. 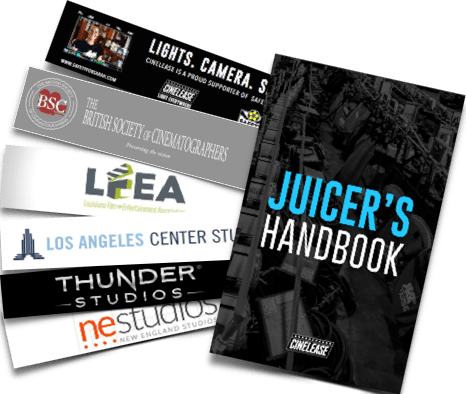 Find Cinelease logos for credits and other necessary materials, here. Click on each logo to download a full logo folder containing different file types. (Each folder will include an .svg, .png, .eps, .jpeg logo file) or download individual png & jpeg files by clicking on the links listed. We carry all the top equipment manufacturers! 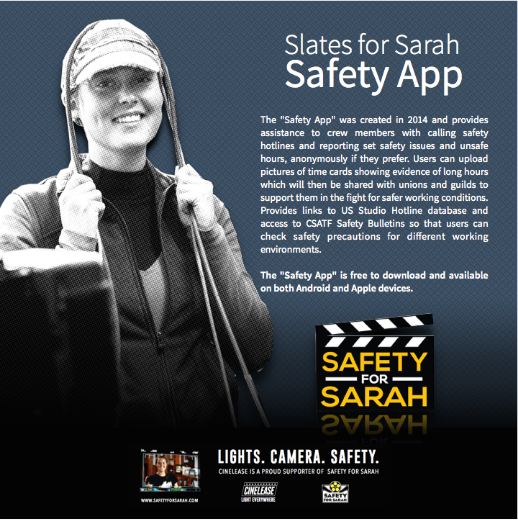 After the death of Camera-Assistant Sarah Jones on the set of Midnight Rider, Safety for Sarah has been working to spread awareness about crew safety and on-set working conditions. The “Safety App” was created in 2014 and provides assistance to crew members with calling safety hotlines and reporting set safety issues and unsafe hours, anonymously if they prefer. Users can upload pictures of time cards showing evidence of long hours which will then be shared with unions and guilds to support them in the fight for safer working conditions. Provides links to US Studio Hotline database and access to CSATF Safety Bulletins so that users can check safety precautions for different working environments. Looking for answers? Then you’ve come to the right place! Welcome to the Cinelease Frequently Asked Questions page. Here you can find information about our student discounts, rental policies, transportation information and much much more! 1. How can I obtain a rental quote? 2. What documents do I need to provide to rent from Cinelease, Inc.? 3. Does Cinelease, Inc. rent to crew as well as the studios? Yes, but you must have insurance, deposit and payment. 4. Does Cinelease, Inc. offer student discounts? 5. 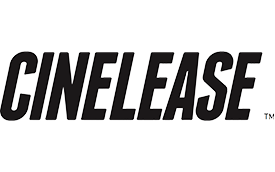 Does Cinelease, Inc. offer expendables rentals? We do offer expendables for purchase. 6. Which payment methods does Cinelease, Inc. accept for rentals? Credit card and company check. 7. May I reserve a rental item? 8. May I place orders for items with multiple rental time periods? 9. My I extend the duration of my rental? Yes, but there may be further charges. 10. 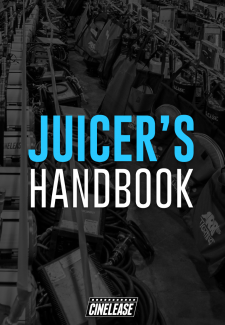 Are manuals provided with rental equipment? Some items do have manuals, but most do not. 11. Does Cinelease, Inc. charge a rental deposit? Yes, the deductible on your equipment coverage or $2500, whichever is greater. 12. Would I need to provide proof of insurance to rent from Cinelease, Inc.? Yes, General Liability, Rented Equipment and Vehicle coverage if you are taking a truck. Cinelease needs to be listed as “additional insured & loss payee”. 13. Does Cinelease, Inc. charge sales tax on rentals? Not in California, but some locations do depending on State and City requirements. 14. Does Cinelease, Inc. charge late fees on rentals? Additional charges may be incurred depending on the items on rental and how late they are. 15. 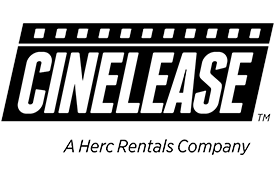 What areas does Cinelease, Inc. provide rental services to? 16. Does Cinelease, Inc. ship rental items? We can ship rental items. 17. Does Cinelease, Inc. provide rental insurance? 18. What happens if the equipment is returned damaged? You will be billed for any missing or damaged equipment. 19. What happens if the equipment does not work properly while on location? We are available 24/7, please call the office at: 818-841-8282 and you will be transferred to someone in the office or on call if it is after hours. 20. 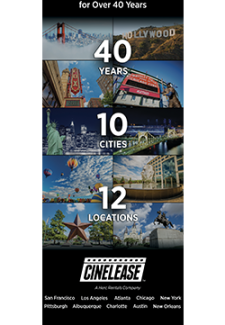 What are Cinelease’s Hours? Cinelease hours are from 8 a.m. to 6 p.m., Monday through Friday (please check our socical media sites for holiday hours).